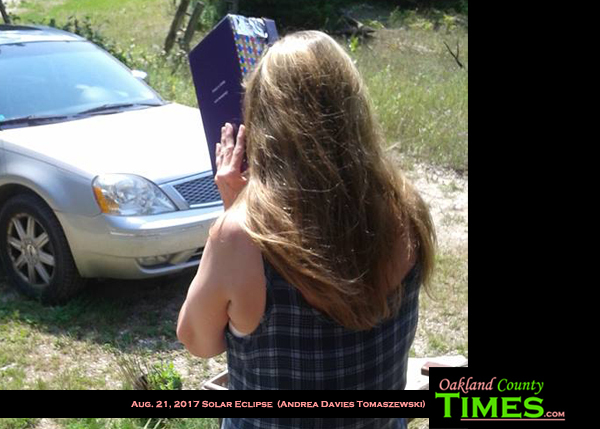 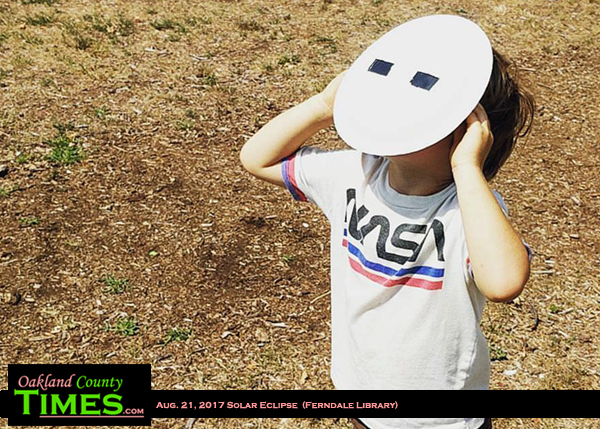 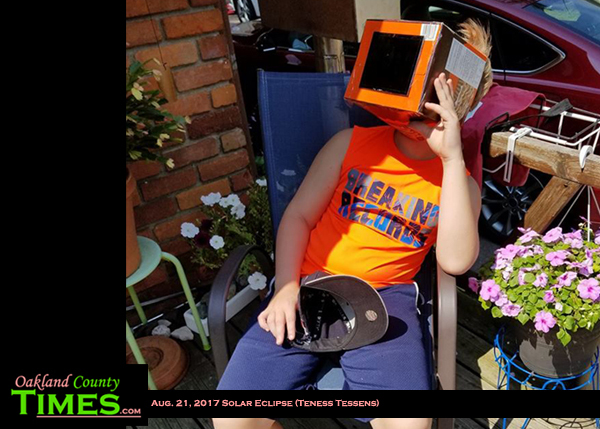 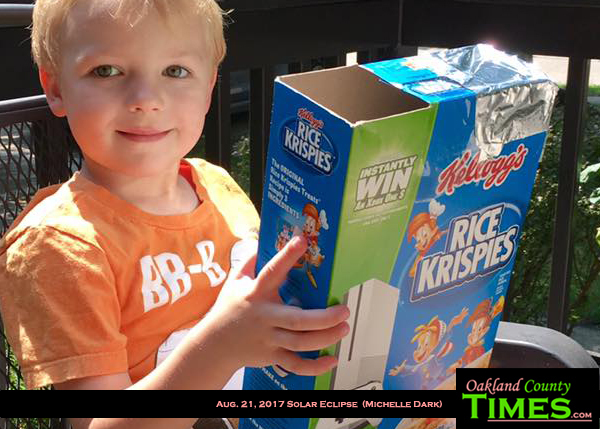 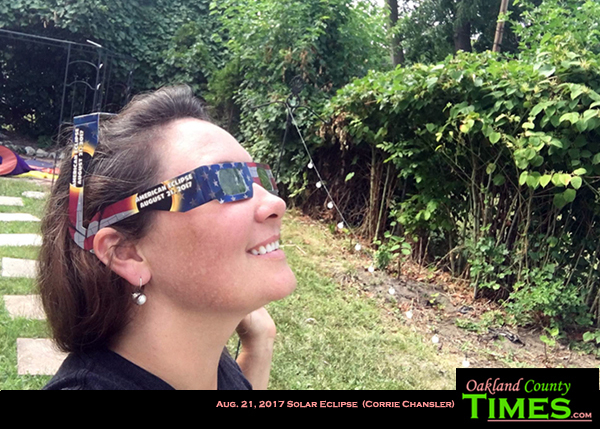 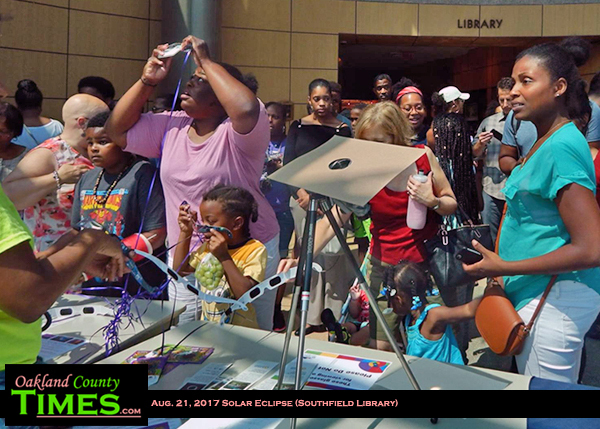 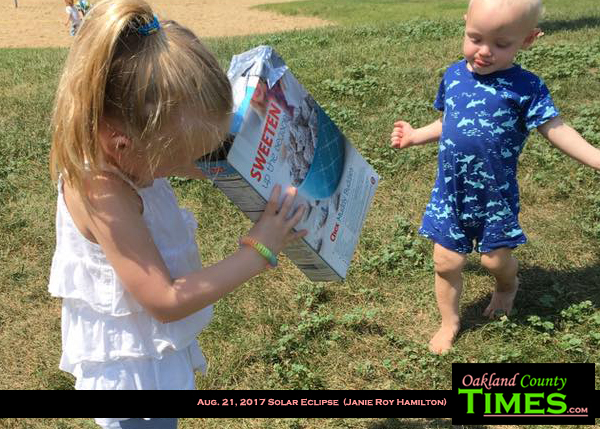 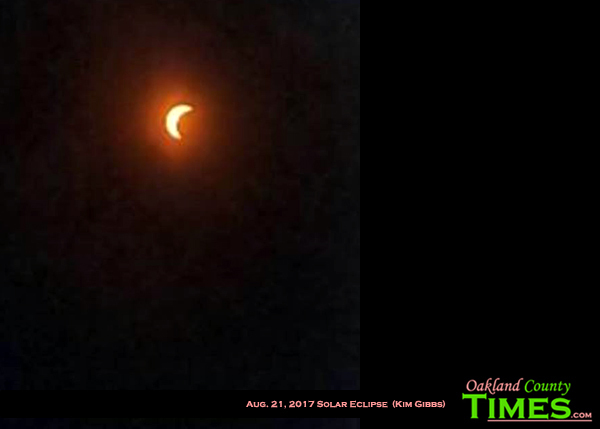 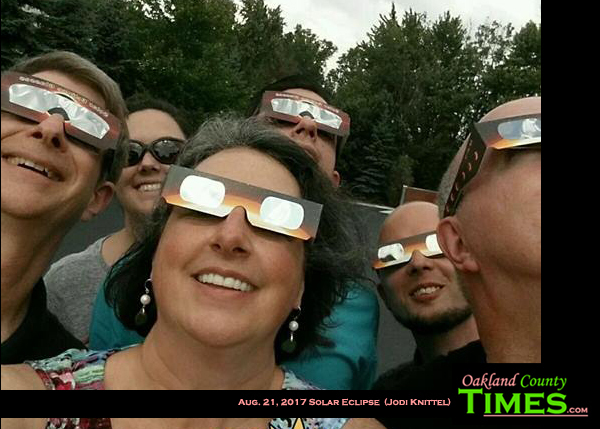 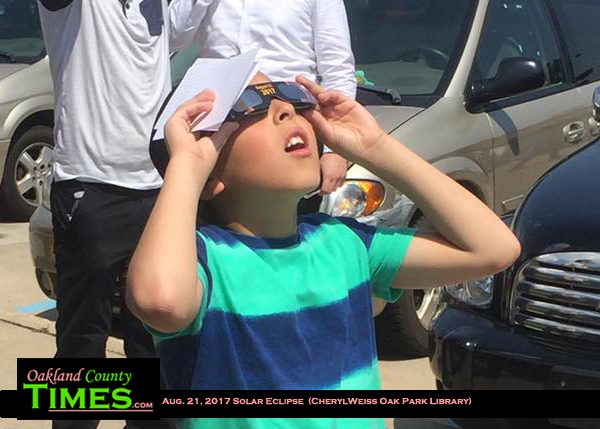 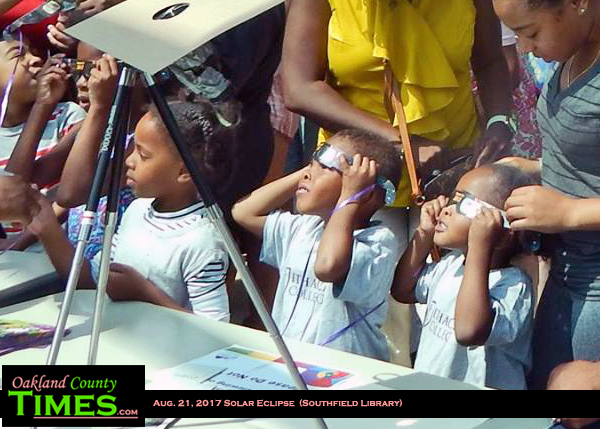 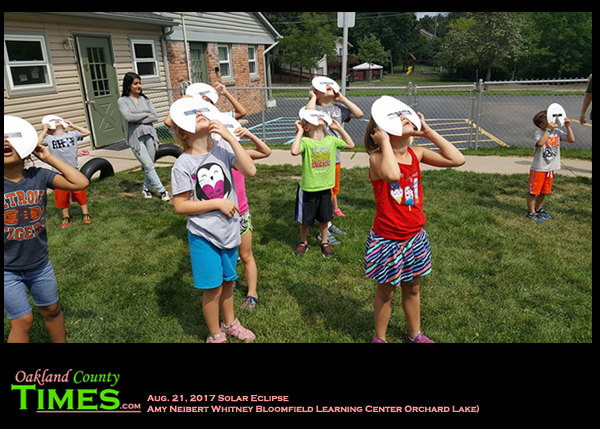 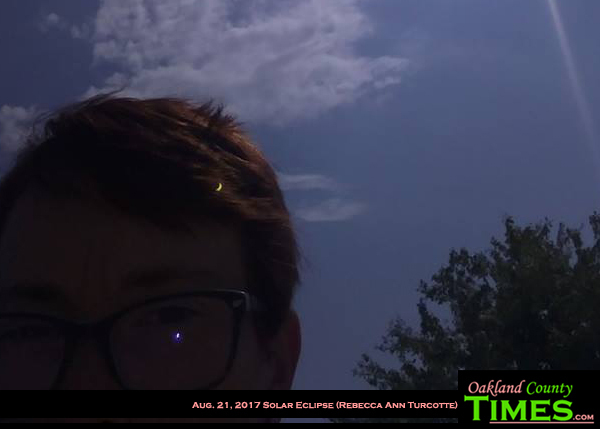 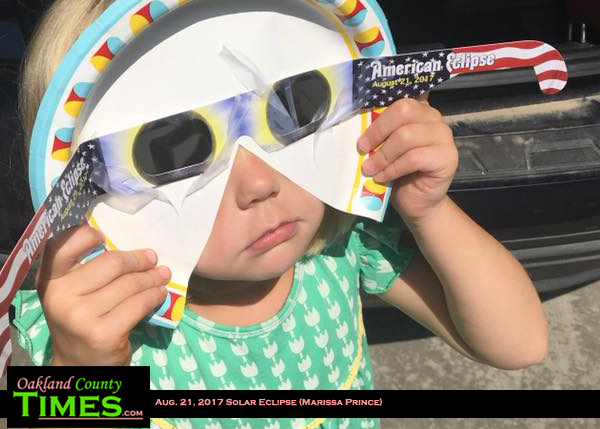 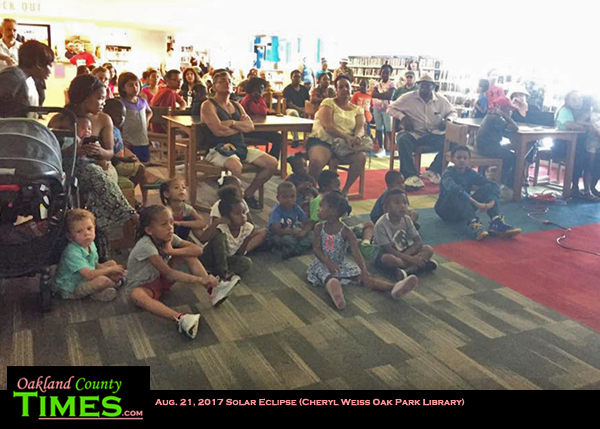 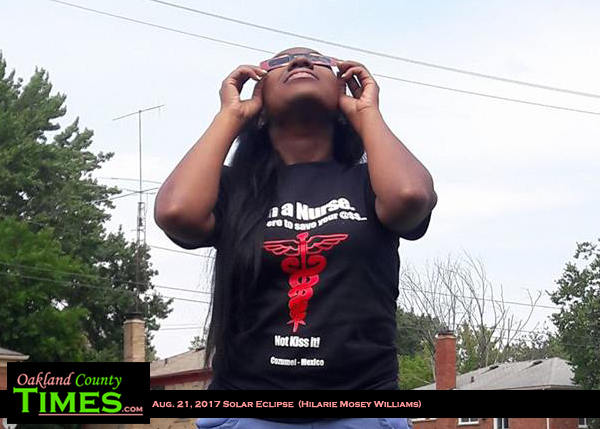 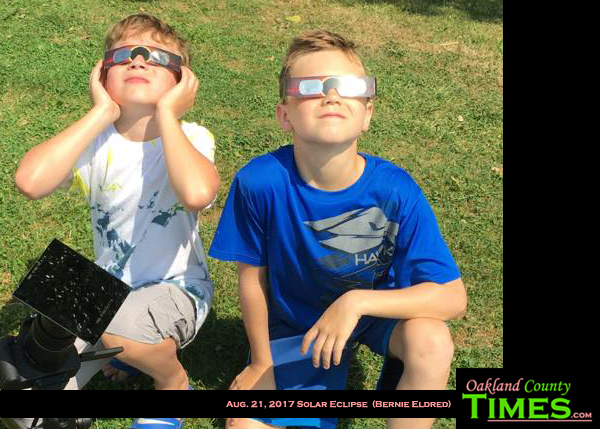 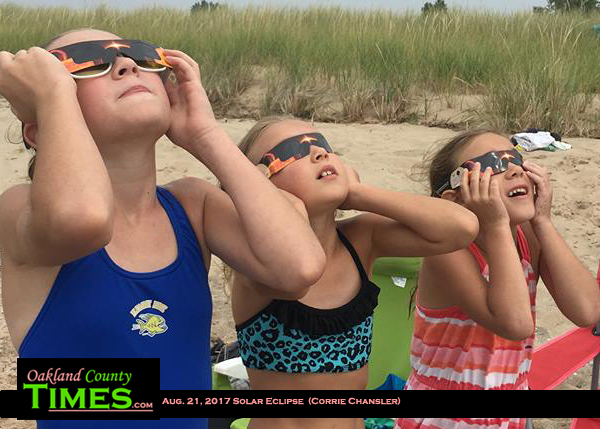 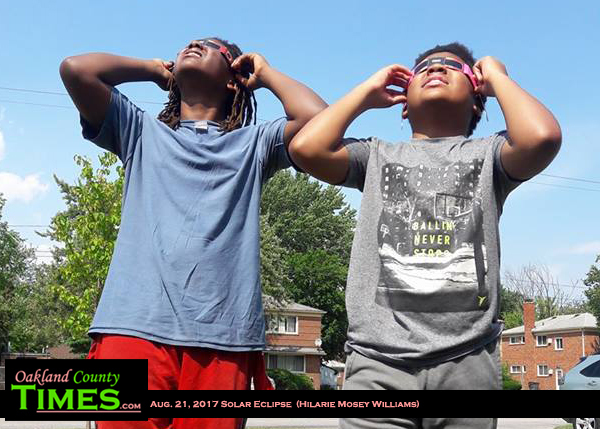 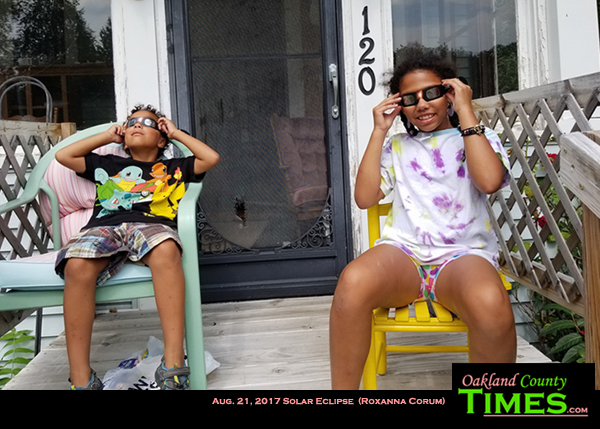 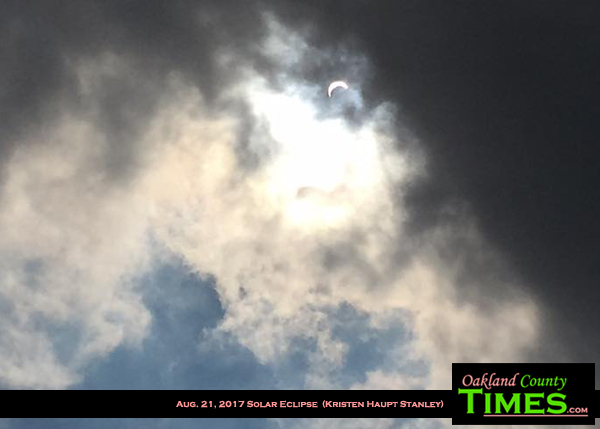 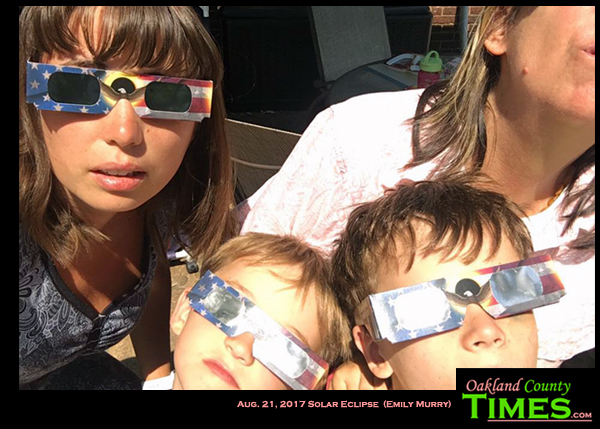 Oak Park, Ferndale, Ortonville, Southfield, Troy, Royal Oak, MI – Throughout Oakland County kids and adults joined with people all over the United States to watch a solar eclipse as it crossed the nation. 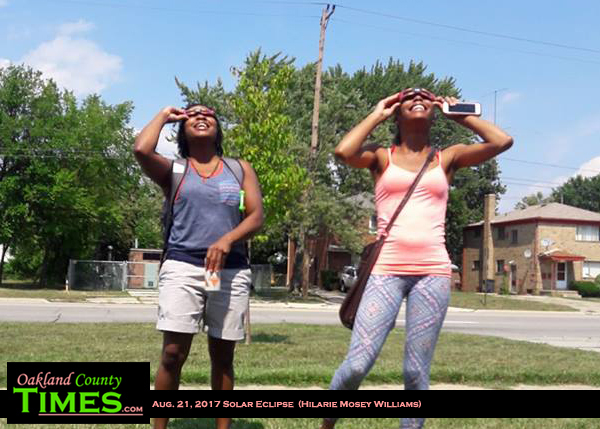 In Metro Detroit the moon blocked out the sun by about 90%. 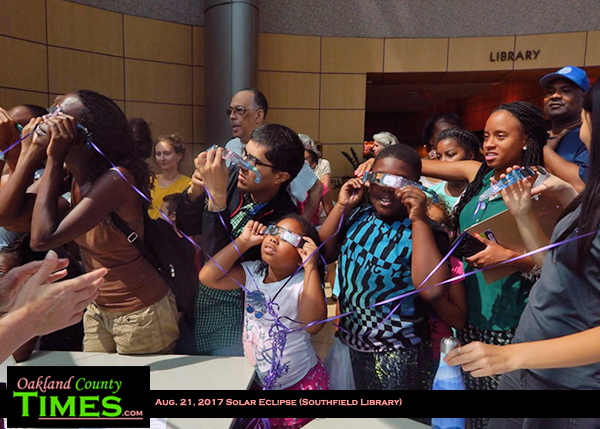 Libraries became gathering places for eclipse-viewers. 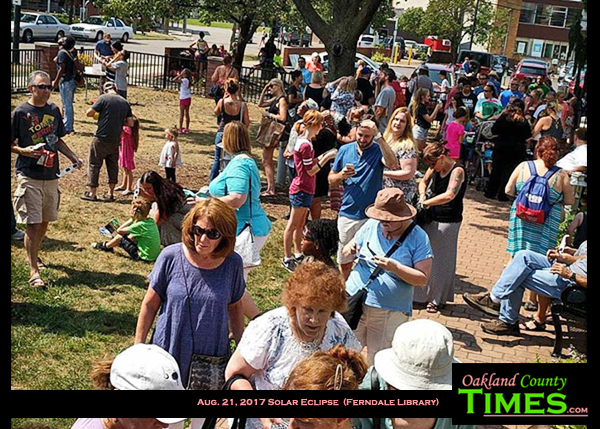 Most had eclipse glasses to give away, but ran out quickly. 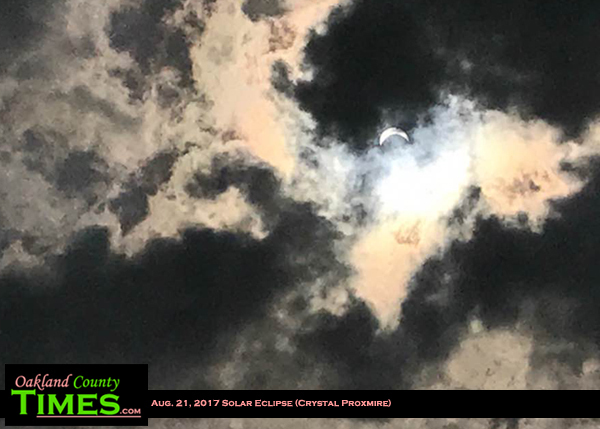 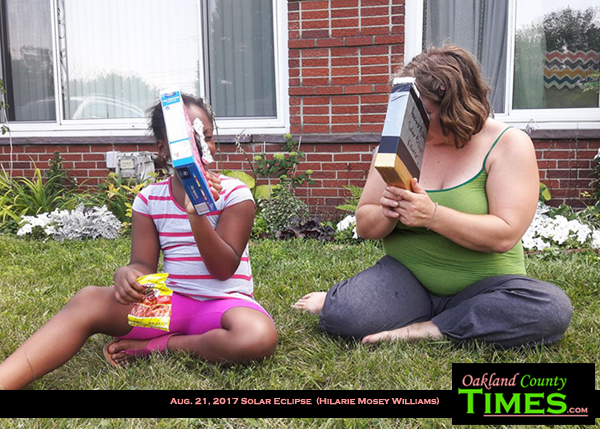 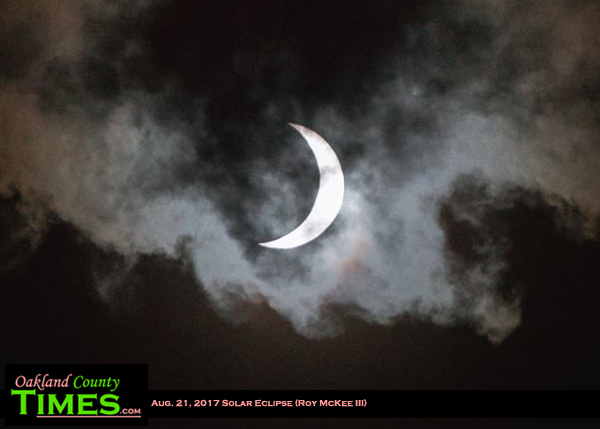 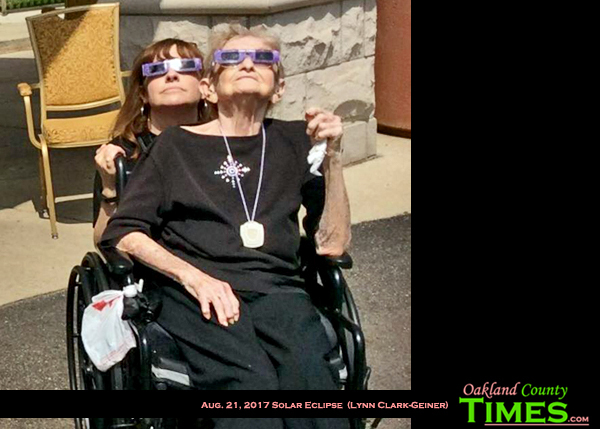 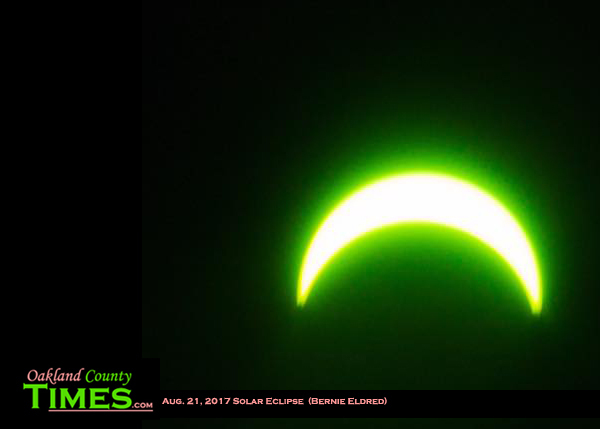 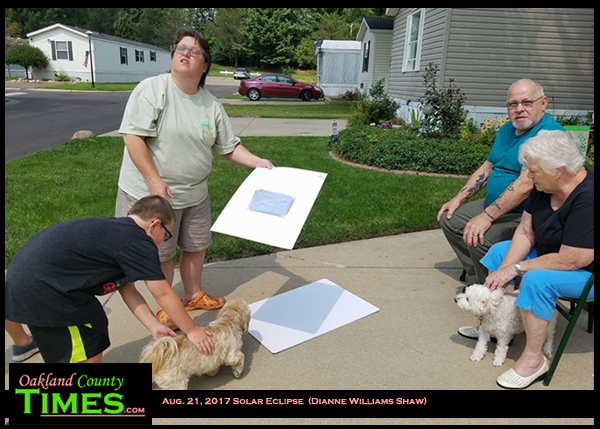 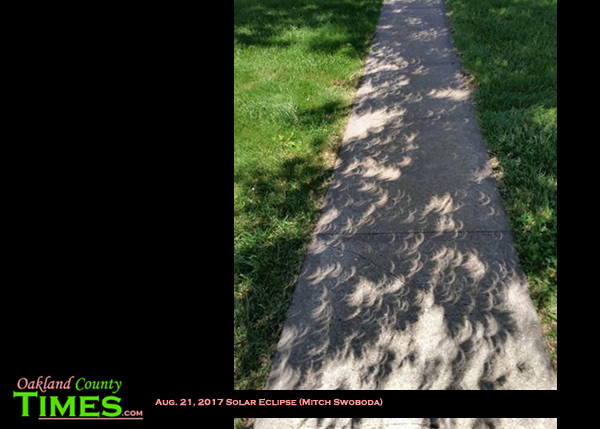 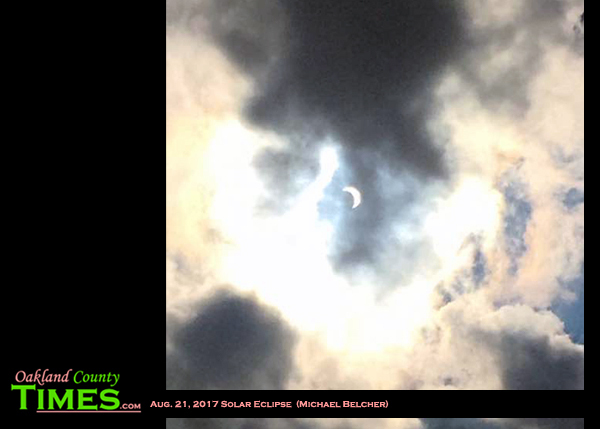 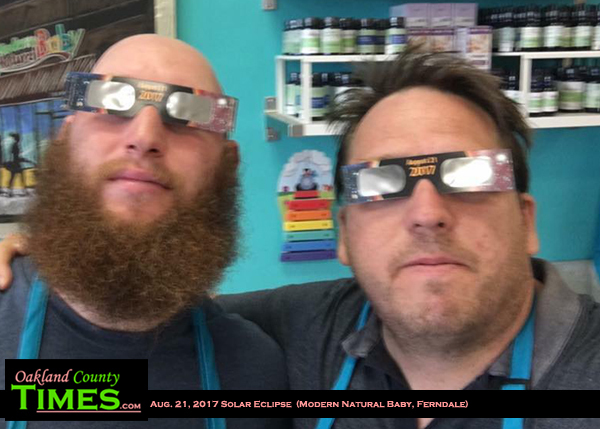 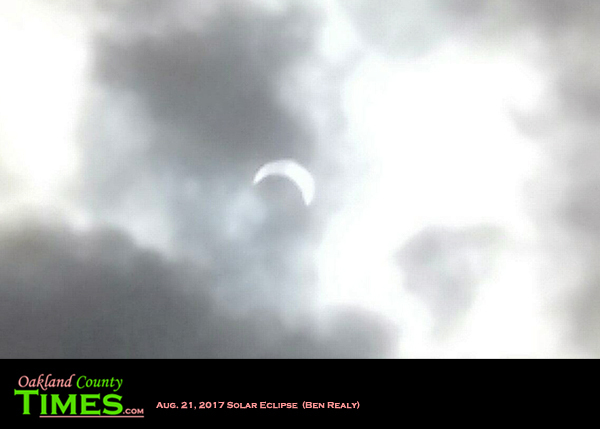 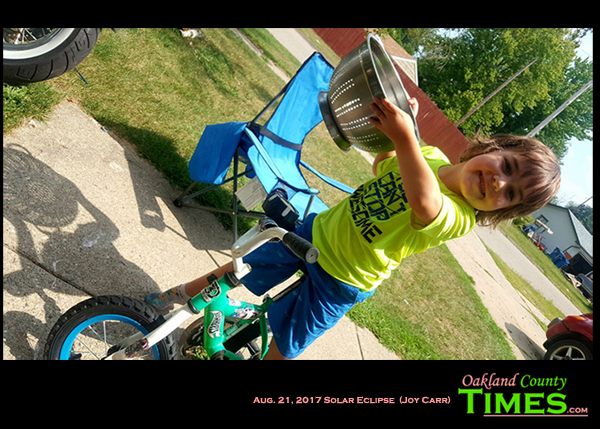 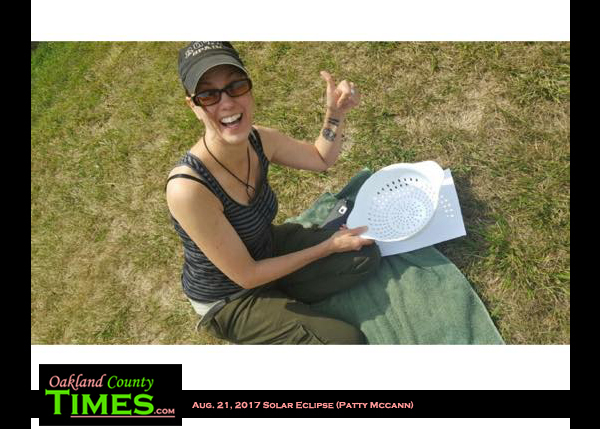 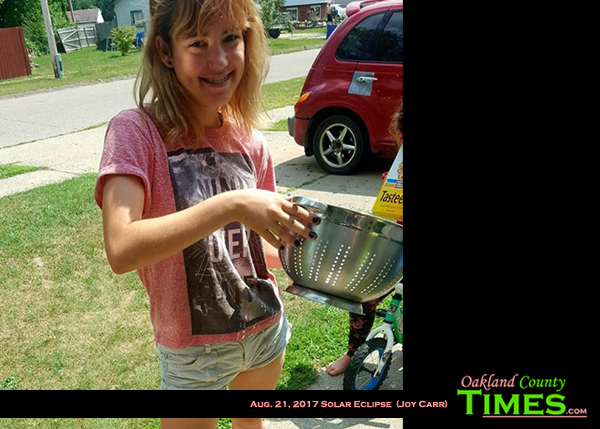 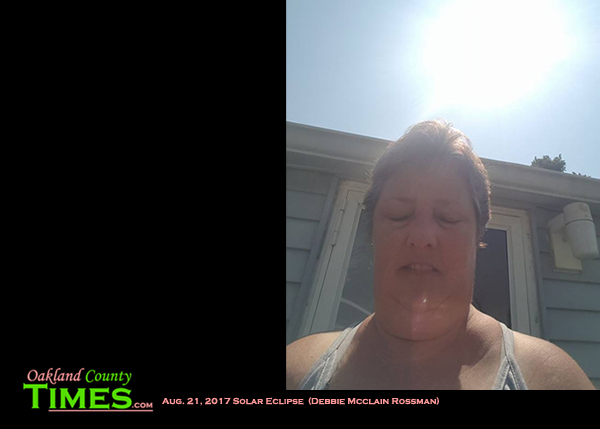 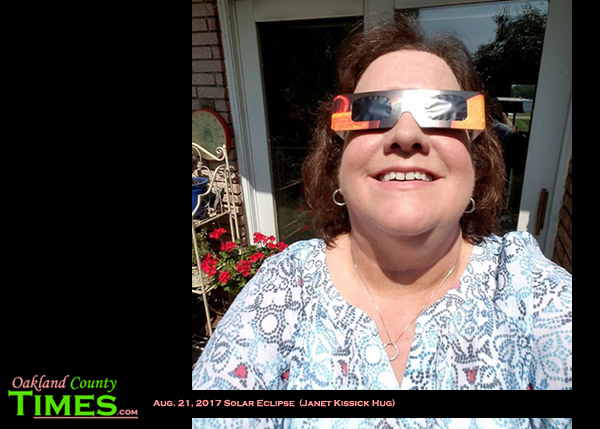 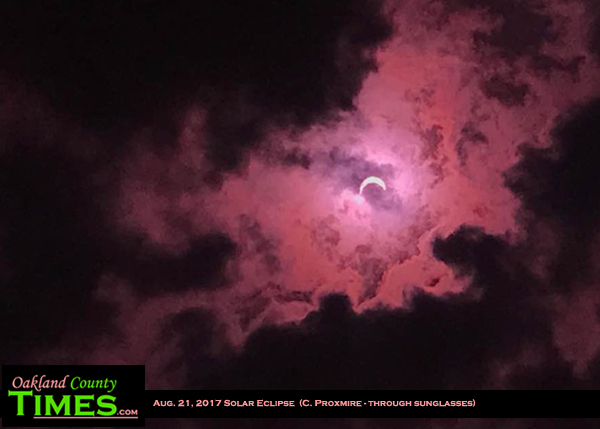 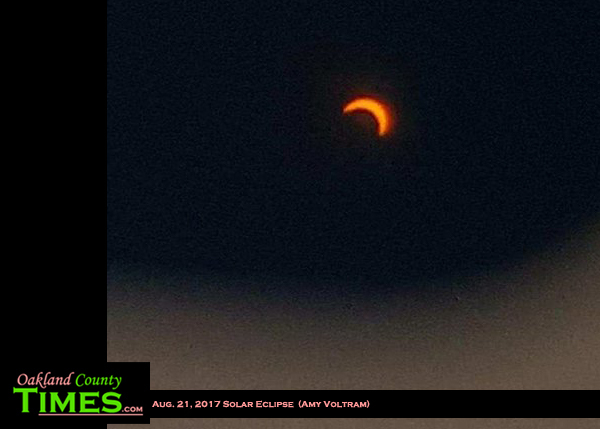 Readers from all over Oakland County shared their solar eclipse photos to make this collective memory. 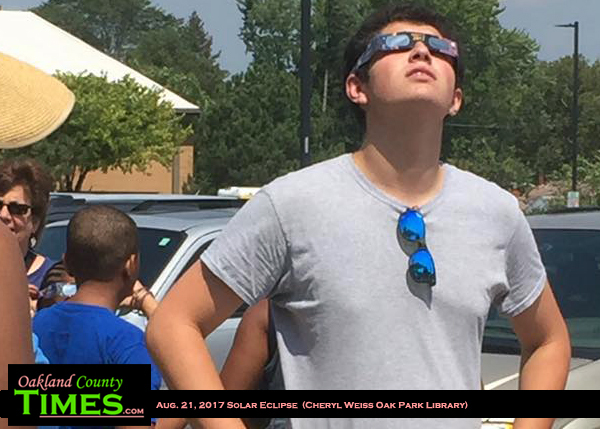 The next solar eclipse takes place April 8, 2024, with Metro Detroit being even closer to the path of totality. 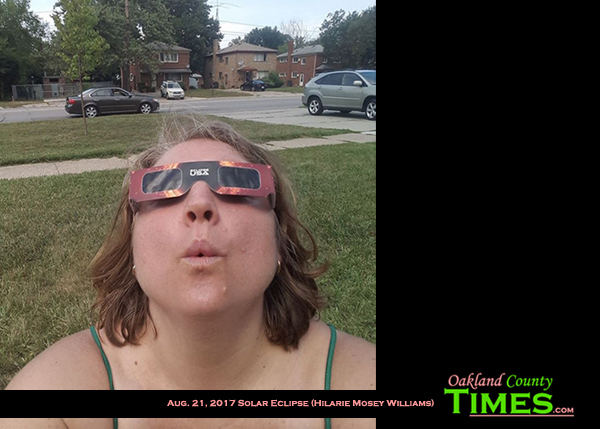 Be sure to check out Oakland County Times in the days leading up to that event for information on viewing parties! 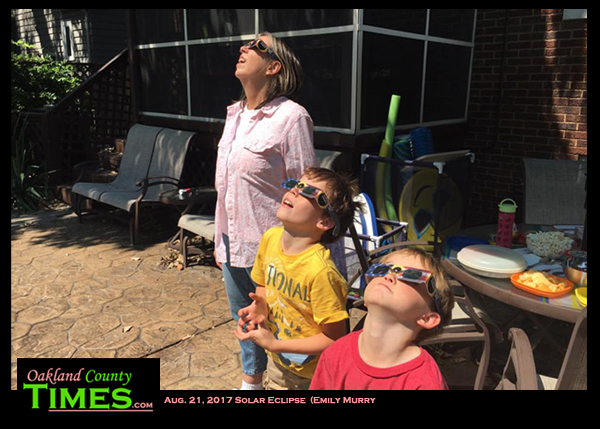 Thanks everyone who shared pictures!